Well, it is now safe to say that we, fellow PC gaming geeks, are officially entering into the Golden Age of Gaming. 2015 pretty much ushered it in triple A titles blazing the trail with quite a lot of sound and fury, although fortunately for the most part, there has been enough substance to back it up. April kicked it off with our first bombshell in GTA V, which proved that no one can make sandbox games with such attention to detail as Rockstar could. Then in May we were hit with another blast in The Witcher 3: Wild Hunt, which gave gamers an open-world extravaganza which focused on story driven content and upwards of one hundred hours chock full of meaty gameplay. We also saw the return of the classic isometric top-down RPG with Pillars of Eternity, an indie hit which harkened back to revered RPG legends such as the Baldur’s Gate and Icewind Dale series’. And now in September, still reeling from the release of those fabulous modern classics, we have been treated to the final Metal Gear Solid game, and have SOMA, Fallout 4, and Star Wars: Battlefront, on the horizon. It’s enough to make any gamer giddy with delight! 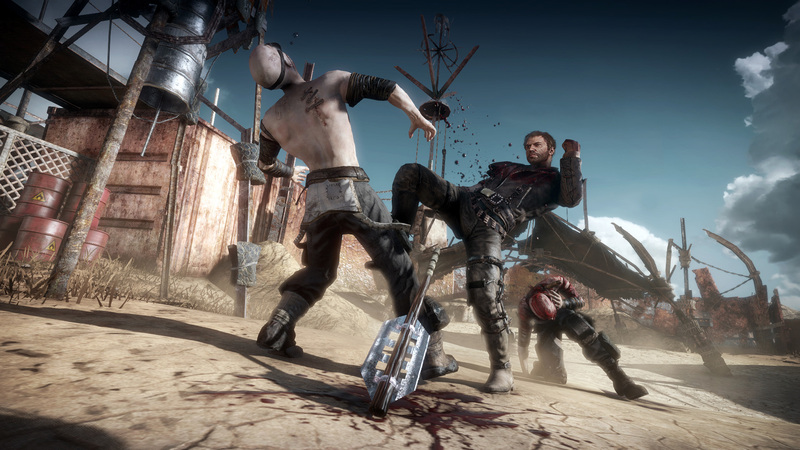 Mad Max is a sprawling, open-world actioner set in a post-apocalyptic near future. Not surprisingly, it features the main protagonist, Max, a nomadic man with a tragic past. You must guide Max across the dangerous Sands of Silence, but after your go-to muscle car is pilfered by the Immortal Scrotus, you must build another vehicle in order to do so. Unfortunately for Max, who is used to doing things on his own, he must seek the help of a few locals in order to accomplish this task. First off, I must say that I was a little ambivalent at the mention of this game, since Warner Bros. really dropped the ball in a big way with their glitch offering of Batman: Arkham Knight (although they are doing their best at patching it as I write this article). 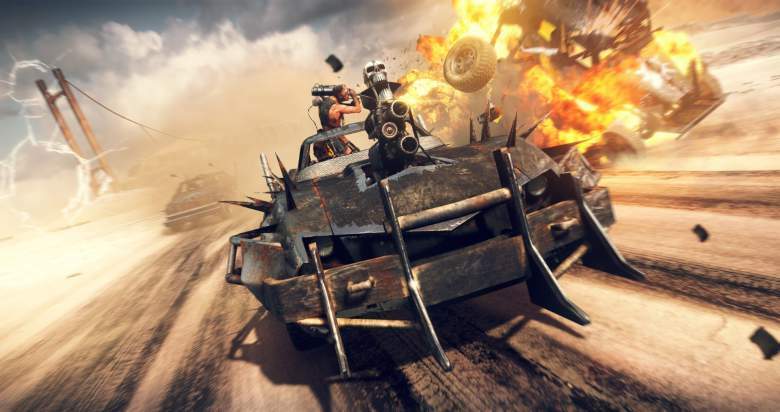 Thankfully, the game’s kindly developer, Avalanche Studios, made sure that they fully optimized Mad Max for the PC gaming platform. This translates to over 100 FPS, maxed out (no pun intended) on my GTX 970, seamless transitions, and some of the most fluid gameplay I’ve ever witnessed. 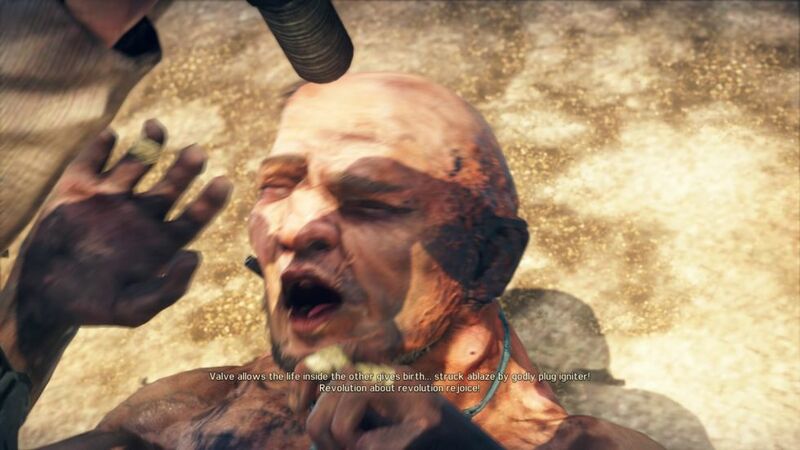 I know, you’re probably asking: “But is the game actually any good?” Well, for the most part, the answer is: “Yes.” Game content-wise, Mad Max mainly consists of driving to different locales, blowing s*** up, and then driving to the next place and blowing more stuff up, punctuated by beating the crap out of people. We’re talking lots of orange fireballs here and people getting their butts whipped ala Batman style in the fisticuffs arena. Here, Max’s combative style has been toned down a little more from the spastic springing and bouncing around of the Batman games. This makes a lot of sense since ol’ Bats is cartoonier and Max’s world is supposed to be a little more gritty and realistic. 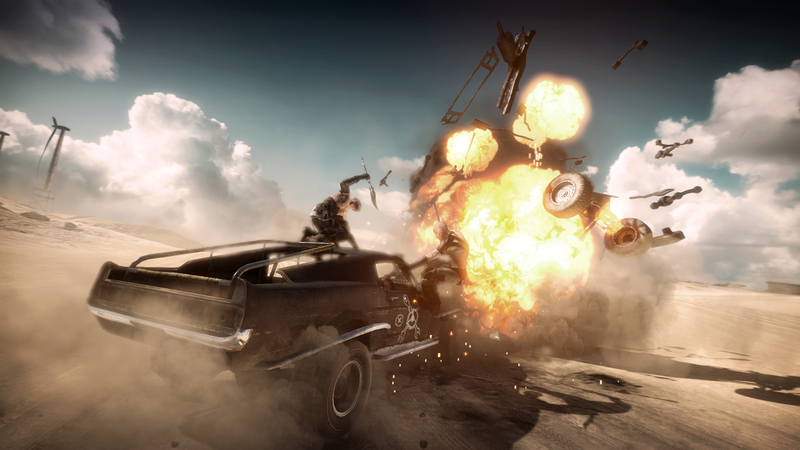 Presentation-wise, Mad Max is an utterly beautiful spectacle of a game. The environments are just jam-packed with atmosphere, with red rock valleys, wide-open, white powdered salt plains, and dilapidated oil fields. You really feel like you’re there in a desolate, near-future dystopian world, rife with dangers of all kinds. The sound also hits the mark, with cringe-worthy death cries, weighty weapons sounds and combat effects, and a minimalist, memorable score that lends credence to the dreary setting and its proceedings therein. Max’s main enemies consist of three separate antagonistic factions, are also well conceived of, as well as being different enough in the mannerisms, clothes, style, and vehicle design to merit a big thumb’s up to Avalanche for packing in some good variety. Unfortunately, this doesn’t necessarily translate over to having as much variance with regards to the types of missions you can take on—but since the game is so fun to play, it never really gets slapped with that much maligned repetitive label. 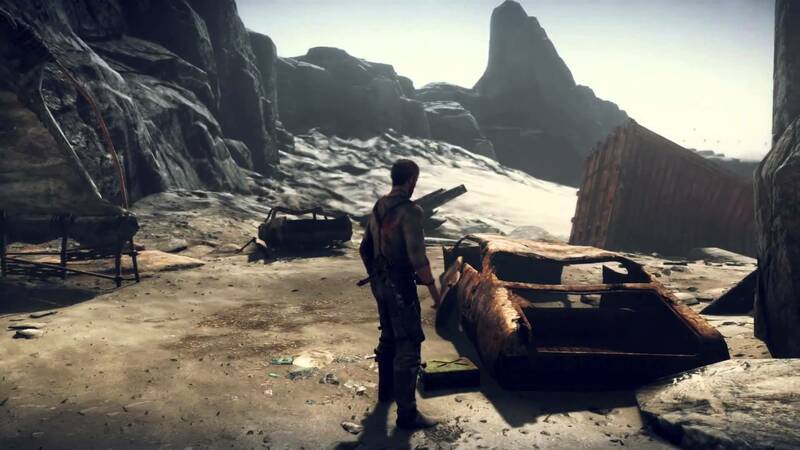 Mad Max is an incredibly awesome experience, with its simple but effective storyline, jaw-dropping graphics and smooth gameplay, and unusually fun vehicular combat. It may not be the most diverse game with regards to the amount of things that you can do in its forlorn world, but it more than makes up for that with its excellent pacing, atmosphere, interesting characters, and fun character and vehicle customization, and upgrading. 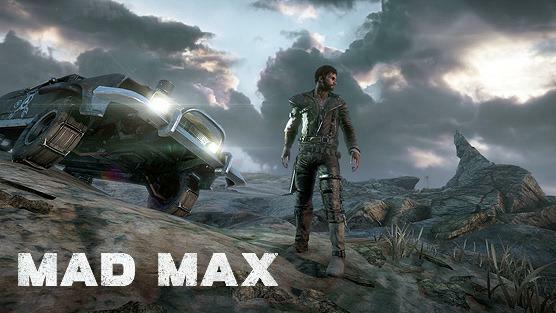 Mad Max is a must have for 2015. Mad Max’s visuals are simply stunning. Warning: 4k gaming folks may literally fall out of their chairs with the amount of detail on display here, as will gamers with otherwise high-end PC gaming rigs. If you haven’t upgraded your system in a while, now is as good a time as any with not only Mad Max available, but other graphical juggernauts wading into the fray this year. Also, get over to CyberpowerPC’s website to find more great deals as well!